Read our newest field report. here. See what Gold Prospectors Magazine had to say about our Underground Surveyor Apparatus(USA) products in their Jan/Feb 2006 magazine. 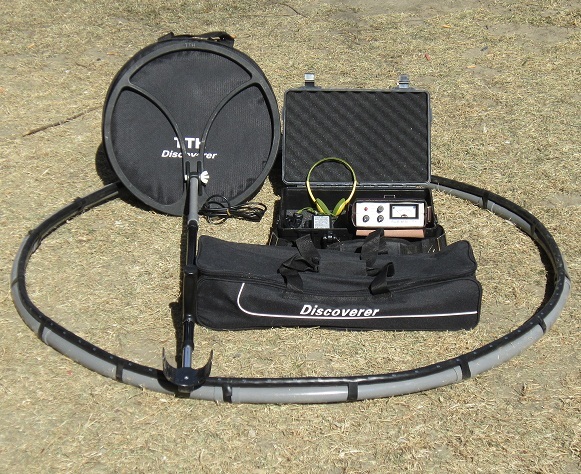 Read about ’Testing Accurate Locators A Field Test’ by Jim Klein and his use of the USA product line in his search for gold here. Pinpointer 2.0 ART has been released! Our new Pinpointer system for all of the USA Systems now has ART Audio Response Targeting for heads up detection making rapid pinpointing of target and depth estimation even easier. Great for pinpointing tunnels, metals, voids, gold veins, lost treasure, utilities and other underground anomalies. Now Available with Runabout and Double Magnum. Read more about the pinpointer here. 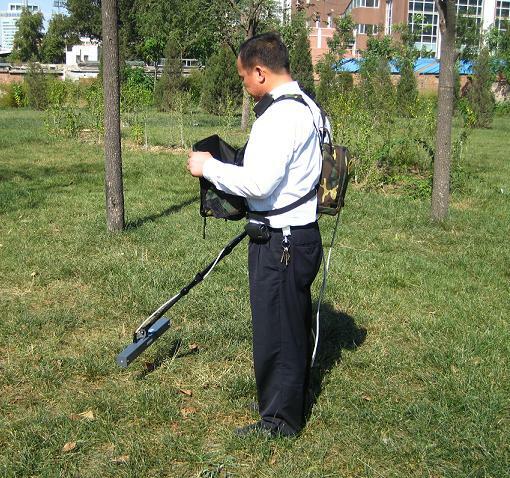 The Underground Surveyor Apparatus (USA) Multi-Sensor units are a state of the art Multi-Sensor Array that are capable of extraordinary sampling rates producing detailed yet the most efficient results up to 200 feet! 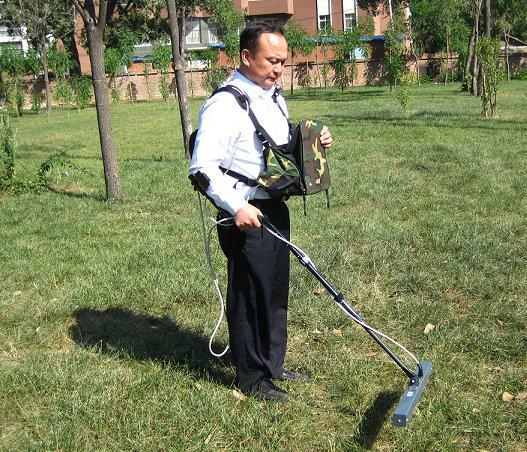 The USA are well suited for both the utility locator as well as the Professional Treasure Hunter. The USA has advanced software which makes operating the units much simpler than other brands available, and the software is included with the purchase at no extra charge. 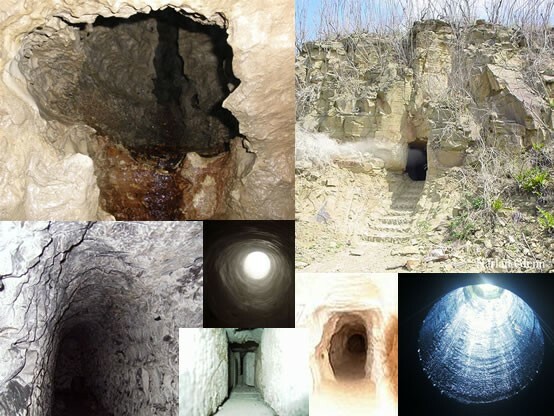 The Magnum has a double sensor antenna which is designed for the purpose of locating larger items including buried treasures, caves, tunnels and voids. See subsurface objects in real-time with the GeoSurveyor 3-D software and the Runabout, Discovery and Imager units. The Magnum receives a high sampling rate in favorable ground conditions and can detect larger objects and tunnels at 120 feet. 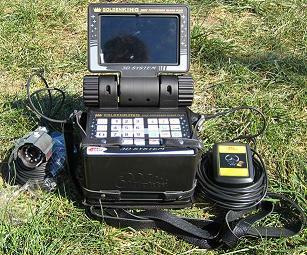 The USA comes complete with a pre-configured laptop computer, control unit, sensor housing, extension shaft, battery, charger, all connection cables, custom dual field pack with Camelbak personal water reservoir, carrying case, video, user manual, 2-hour tech support or training by appointment (on-site) and a 1-year limited warranty. The Magnum is the choice of many hobbyists and treasure hunter. 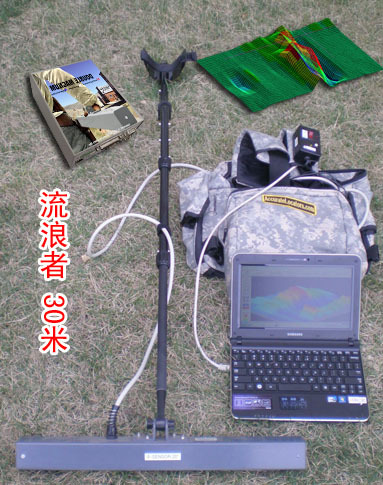 The GeoSurveyor software was developed exclusively for the USA. The software was built with simplicity of use in mind. 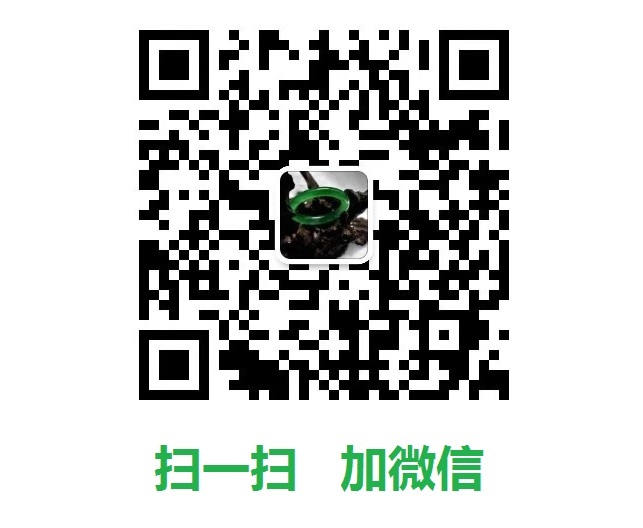 The software has functions to show a standard 2-D top view and 3-D at the same time which includes the side scan information. Advanced filtering techniques also enhance the images to better identify targets. The USA Ground Imaging Systems are fully controlled by the GeoSurveyor software developed for the operator to perform scans quickly and easily. The software renders a 3-D image and has user-definable and factory presets to enable quick analysis and target identification. One of the most distinguishing features of the USA Runabout, Discovery and the Imager is the ’Real-Time Live Mode’. 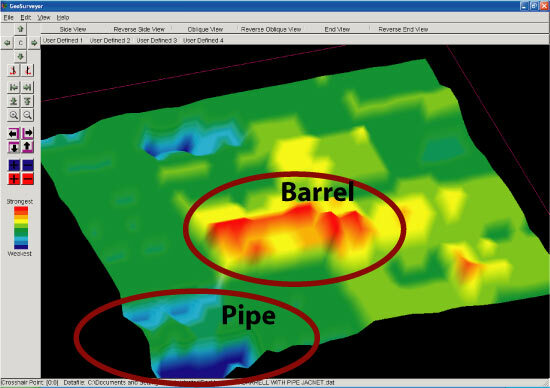 The live mode enables the user to scan in any direction to locate subsurface anomalies. The uniqueness is the speeds that they are capable of traveling, you can run if you like, with astonishing results and full screen viewing. The USA technology has been successfully deployed in various climatic and geological conditions by both professionals and amateurs. Applications include archaeology, geophysics, geology, hydrology and treasure hunting. 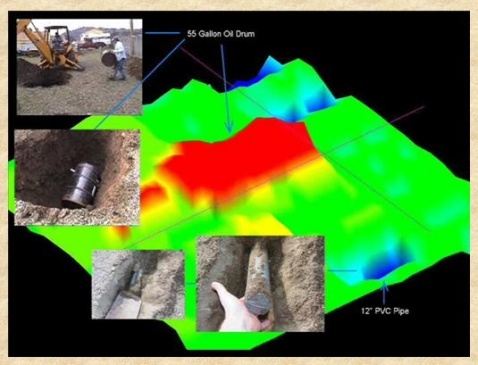 Surveyed areas include industrial waste sites and waste deposits, building lots, mining areas, street construction sites, military practice sites and other sub-surface investigations. The USA Field Pack was custom-made for the serious professional. Not only does it come with enough room for your gear, but also for the laptop and control unit plus batteries. The packs are evenly balanced to create comfort with very little body strain. The USA Field Pack comes in an assortment of colors, as well as two sizes depending on the size of the laptop, large or small. The GeoCaddy is available as an accessory for the Discovery, Imager and Runabout to help maintain even scans while the caddy holds all the gear and extra batteries for longer life in the field. 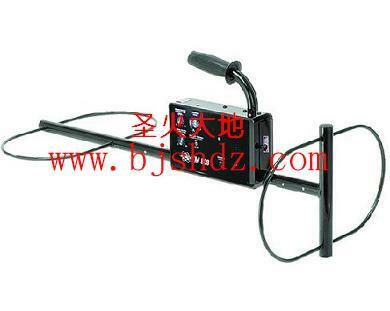 Antenna Case with shoulder strap can accommodate up to 3 antennas for added protection. Available standard with Discovery and Imager packages. Optional for other models. Number of sensors in antenna depend on unit. Magnum(2), Runabout(4), Discovery(8) and Imager(16).